﻿Excitement is growing for immunotherapy, therapies that harness the power of a patient’s immune system to combat their disease. CAR T-cell therapy engineer patients’ immune cells to treat their cancer, and early results have generated considerable optimism. In fact, in one study, all signs of cancer disappeared in 27 of 30 patients, and 19 of the 27 have remained in remission. However, CAR T-cell therapy can cause worrisome side effects, with maybe the most troublesome being cytokine-release syndrome. With cytokine-release syndrome, there is a rapid and massive release of cytokines into the bloodstream, causing dangerous high fevers and extreme drops in blood pressure. 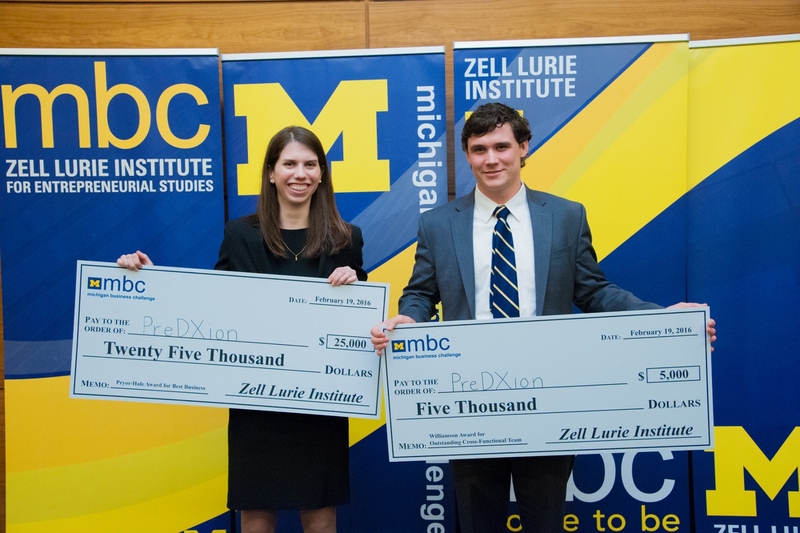 The Michigan-based startup PreDxion is developing a near-bedside diagnostics device, called MicroKine, that measure cytokines from one single drop of blood. The patent pending platform is performed in less than 30 minutes, over ten times faster than current competitors, enabling precision medicine in the intensive care unit for the first time. Founded by Walker McHugh and Caroline Landau, PreDxion’s MicroKine fills a critical unmet need in acute care. The technology has the potential of fundamentally change how patients are treated, and play a major role in cancer immunotherapy’s success. Measuring cytokines in the blood enable individual customization of treatment and strategies, lowering side effects, ultimately improving health outcomes. It could improve on the positive results of immunotherapy obtained to date, and help it eventually become a standard therapy for multiple cancers. In addition, the technology could be used to measure immune dysfunction from infections, trauma/burns, and surgical complications that account for the majority of intensive care unit admissions and many deaths annually. MicroKine could predict which patients are at high risk, enabling immediate care and precision medicines to reverse the immune dysfunction, improving health outcomes and decreasing healthcare costs. The wide applicability of the technology highlight the huge potential of PreDxion. 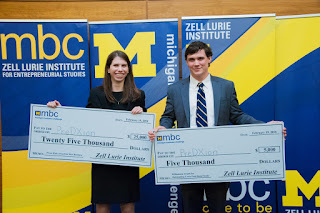 They recently participated in the Michigan Business Challenge, an annual business competition for innovative student-led startups, where they were the big winners. PreDxion was awarded $25,000 for best business and an additional $5,000 for most outstanding business and engineering team.